I am not sure about you...but I am totally ready for spring time to arrive. 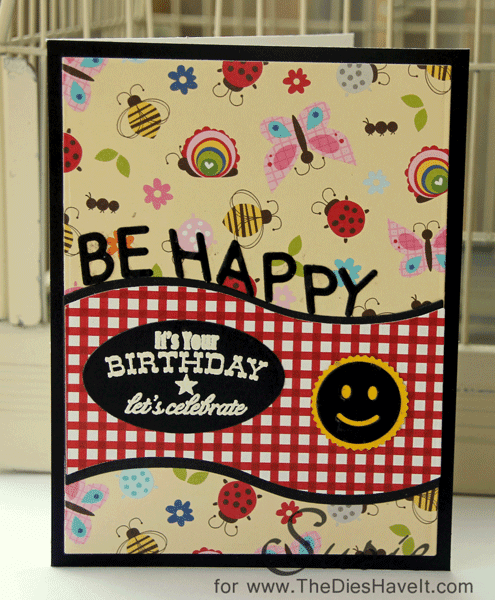 When I saw this happy, bright paper I knew I had to make a card using it. I paired up some some dies from MFT Stamps with a sentiment from them as well and set out to make a bright and cheerful card. I just love the curve made from the backside of the yellow paper. Red gingham just makes me happy! So have a wonderful day and I'll see you tomorrow.